Spanish trio Wild Animals gave us a taste of their compelling pop-punk tunes with their roughly produced debut EP titled First Songs in 2015. Containing earworms like the song Crumbs, the record unveiled to the world the band’s tremendous songwriting potential. Now, with their first full-length album Basements: Music To Fight Hypocrisy under the wing of Epidemic Records, the group’s talents are given the first proper showcase. 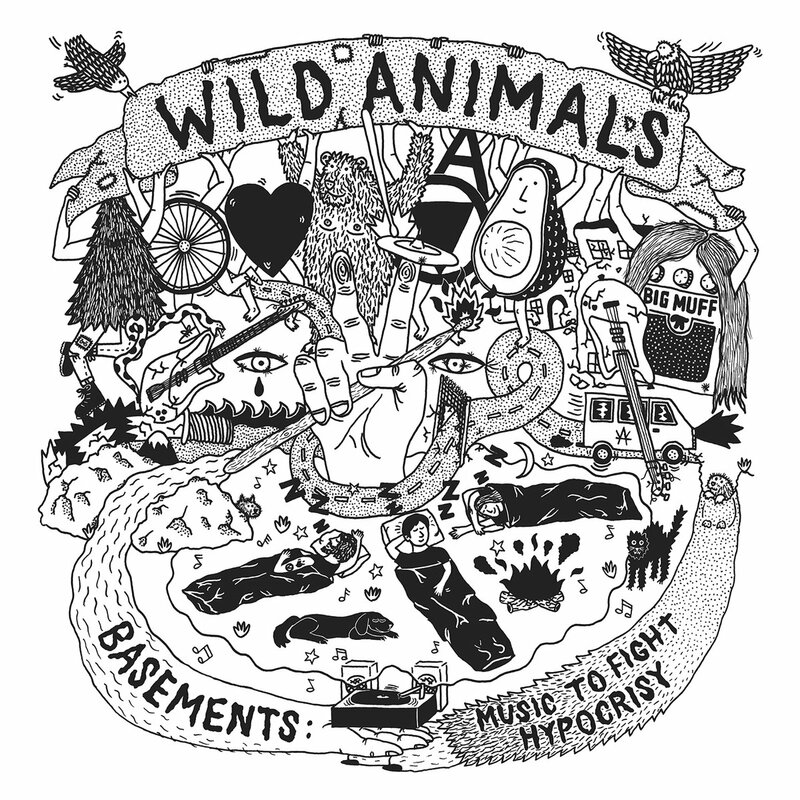 Wild Animals’ debut album is a collection of 10 riotous pop-punk tracks that chronicle the messiest yet most vibrant phase of life – adolescence. Tales about girlfriends, parties, best buds and the emotional turmoil that comes with growing up are set against infectious three-chord punk progressions, the guitars sounding refined yet just fuzzy enough to retain the band’s ‘garage rock’ aesthetic. Frontman Jamie Green‘s voice, meanwhile, exudes a charismatic, boyish charm as it cuts through the mix. So when he belts out vignettes like “I feel tired of passing out before dark / And losing a vital spark of my childhood charm” it feels sincere, coming from a voice of experience. But what keeps up Basements’ intensity and grip till the end the most is Wild Animals’ knack for sticky songwriting. The album stocks up on large, melodious hooks as if its saving for a drought, and an opportunity for a good, catchy guitar line is never left unused. The record, in the end, comes off as a warm and relatable bouquet of memories from a phase we’ve all been through set against a backdrop of headbang-able music that only makes the ride more glorious.